Cruise Trip in Goa - Mygoastay offers various holiday and tourism packages for Goa, river and sea cruise in Goa. How would you like to experience the indescribable feeling of cruising true the azure waters? The moonlight is sparkling down on the quiet surf, the wind in your hair, and just the beautiful, vast expanse of water all around you. Sounds tempting, doesn’t it? It is the ultimate vacation spent on a Goa cruise. 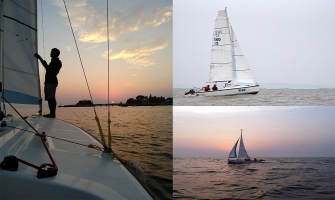 A night cruise in Goa leads you into a world of tranquility on a yacht, an experience that will stay in your memory for long. 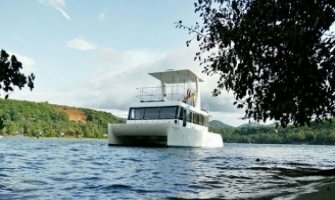 If you have something exotic in mind, or just wish to sit back and relax, what better way to make your holiday dreams come true, than a boat cruise in Goa? And who better to help you create memories to look back on, than MyGoaStay - where we help you plan the perfect party or getaway, on board a luxury yacht with our unique Goa cruise packages. So get ready to turn up the music! For a good time with friends, family, food and plenty of fun, a Goa cruise booking is just the ticket. Sand beaches to dance on catch a quick game of volleyball or just sing and dance and party through the night into the early hours of dawn! It’s also the best destination for couples on their honeymoon – all those secluded corners are the perfect getaways for a special moment or two. But that’s not all! 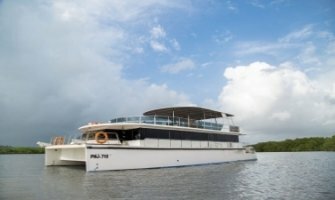 If you’re thinking of a grand launch event, or even a special announcement, a Goa cruise is the perfect choice. There’s no grander way to make sure that people remember an important day, event or occasion, than staging it on a boat cruise in Goa. Memorable, momentous and it’s absolutely magical. Exotic, rarely visited locations are what dream vacations are made of. We bring you the chance to see these places with your loved ones! Plan an overnight trip or a long stay just to take in the sights and sounds of Goa. It doesn’t matter what time of year it is –whether it’s party time, relaxation time, New Years’, Christmas, or a honeymoon, any time is fun time in Goa. After endless revelry, night-to-day parties, surfing, paragliding, and other energy-sapping activities, the best way to cool off and round off your Goa holiday trip is a Goa cruise. It is the proverbial icing on the cake. It’s the perfect way to spend a few relaxing moments with only those whom you choose to be with, to breathe in the fresh coastal air, and enjoy the simpler, finer things in life. Everything from the light and jolly atmosphere to the panoramic view of Goa’s spectacular seaside, from the stellar services to the luxurious parties, a night on a yacht in Goa is one for the ages. 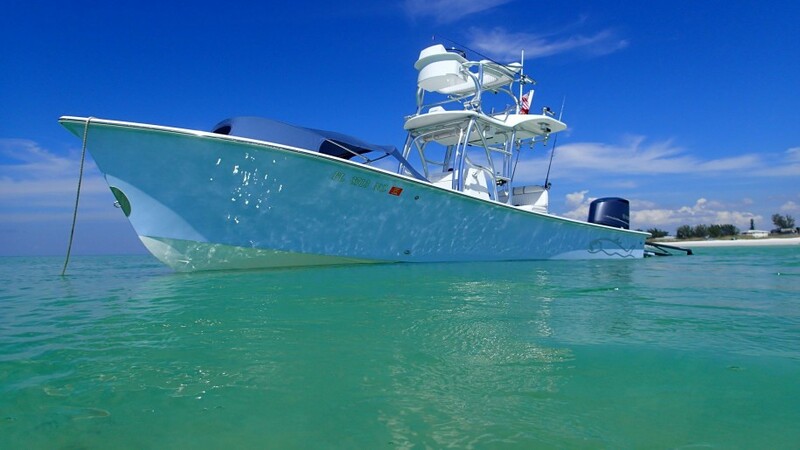 MyGoaStay houses boats and yachts that are made to make your experience a celebration of life itself. So if you ever feel like leaving behind the daily humdrum and monotony, let us whisk you off on a Goa cruise!